Roller material: High grade NO. 45 forged steel, plated hard chrome on the surface of roller with thickness 0.05mm. Active shaft material: High grade NO. 45 carbon wrought steel at diameter 72mm. Cutting blade: Cr12 mould steel with quenched treatment. They are widely used as the roof of garden like factory, hotel, exhibition center, villa, civil construction, etc. It is passive type could load coil by expend the blots fix at coil inner diameter. It's easy to operate and economical solution. 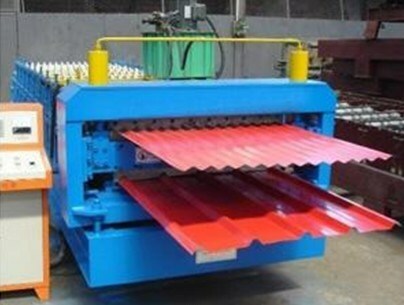 Adopt guiding bar and sliding block to control the width and position of the steel sheet. 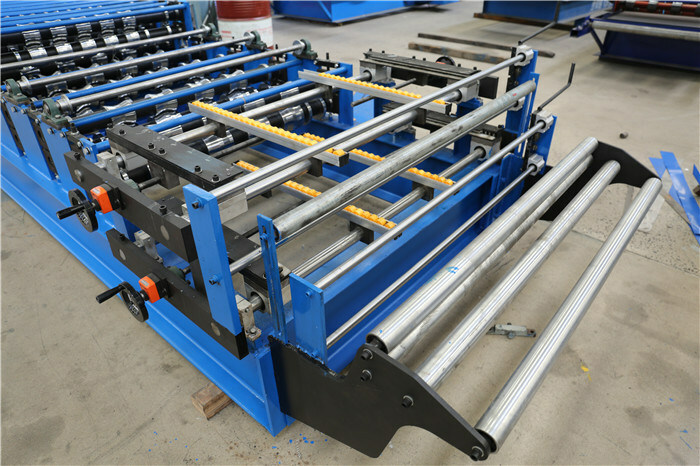 The coil is guided in the correct position and passed to the roll forming system. Can adjust the guiding bar with loosing the fixing bolts to feed sheet in right position. It's fixed structure to make sure can not move easily. 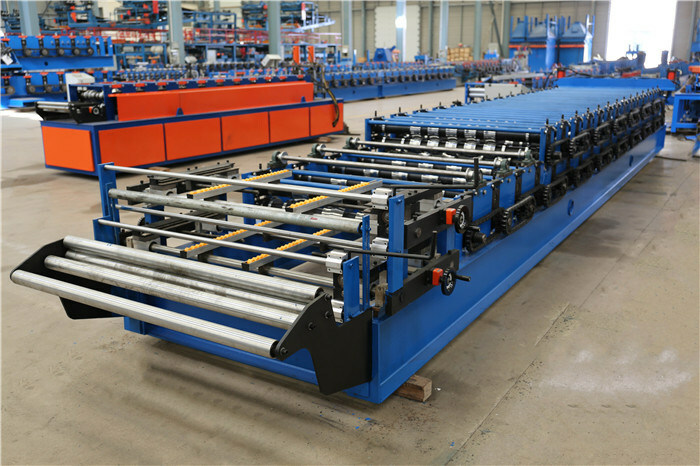 Roll forming system consist of machine frame, transmission system, electrical motor and roll forming system. B. 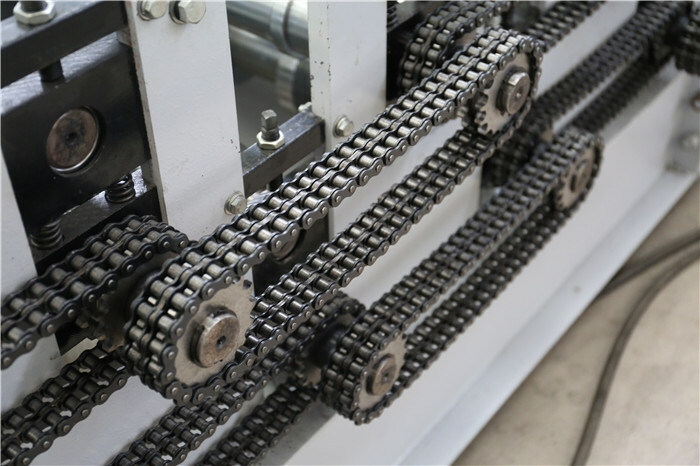 All rollers material adopt high quality No. 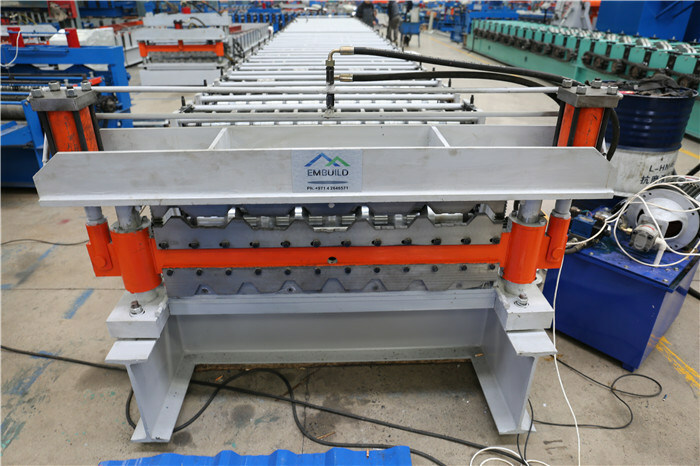 45 steel, with hard chrome coated on surface, all treatment by full CNC machines, to make sure the rollers with good rigidity and precision, and form perfect roofing sheet as per design. 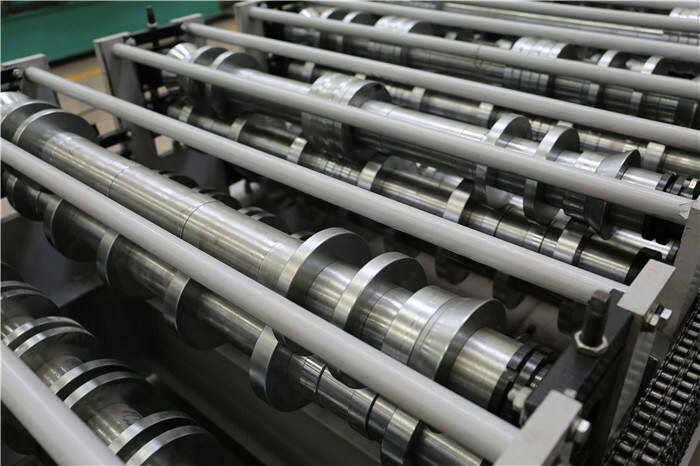 C. All rolling shafts are made by high quality No. 45 steel with quench and temper treatment, so the shafts with good rigidity which could use for long tern without deformation. D. Rolling shafting supporting structure type is steel wall and welded with the basement together to have rigidity. 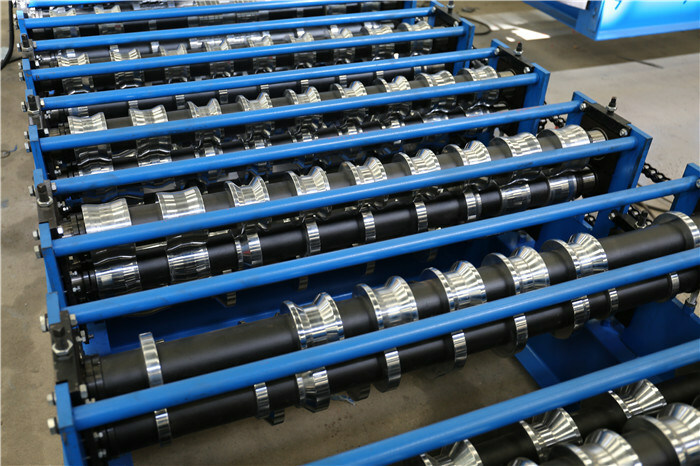 F. Adjust the screw bar manually to adjust the distance between upper/lower rollers for difference thickness of sheet. A. Adopts post cutting, the cutting blade material is Cr12 with quenched treatment, after cutting, there is no material wasted. 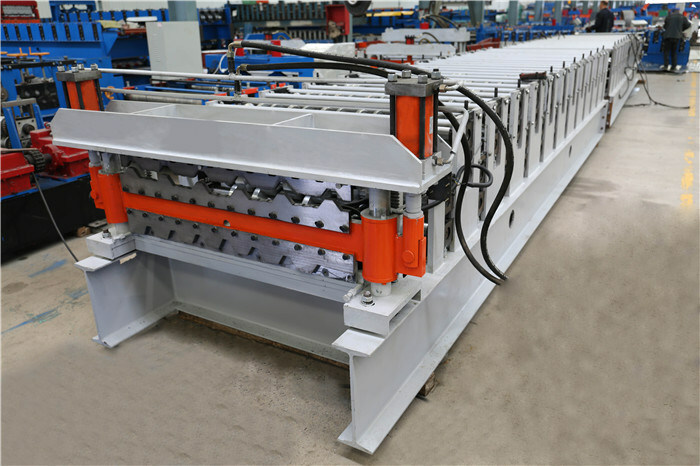 C. The cutting action is droved by the power from hydraulic station which guarantees the procession of the cutting and low noisy, long life. It is controlled by gear wheel oil pump. After filling the hydraulic oil into the hydraulic oil tank, the pumps drive the cutter machine to begin the cutting job. 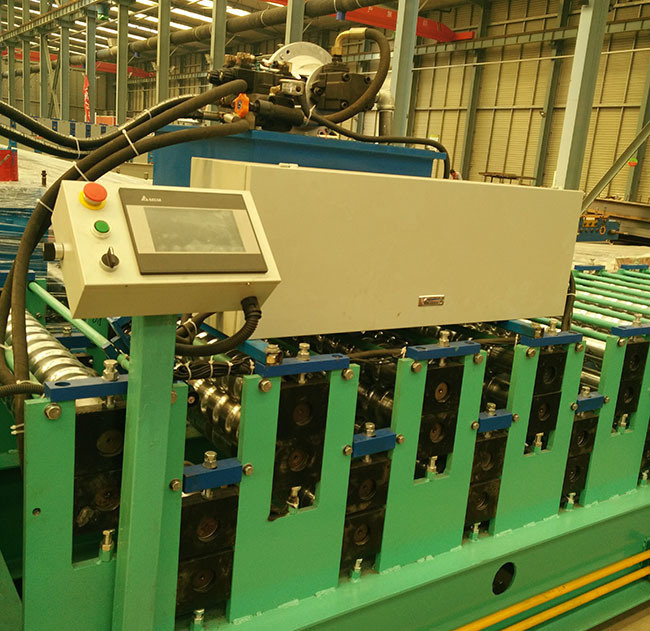 The system includes a set of hydraulic tank, a set of hydraulic oil pump, two hydraulic pipes. And two sets of electromagnetism valves. It adopts industrial computer to control. The target piece's length is adjustable and digit of it can be adjusted. Computed mode has two modes: Automatic and manual one. The system is easy to operate and use. 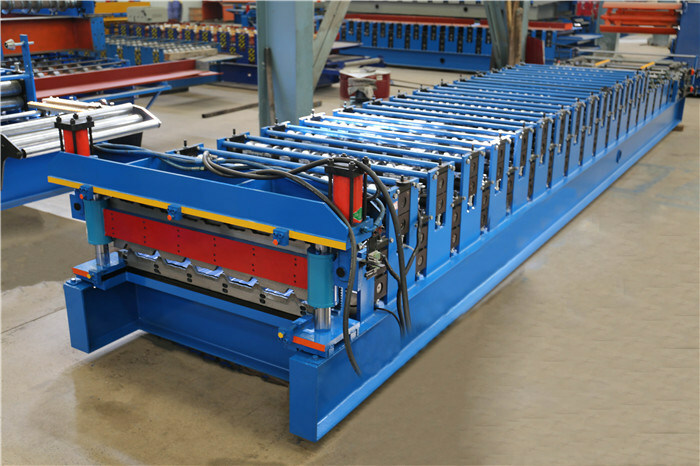 Looking for ideal Double Step Profile Sheet Machine Manufacturer & supplier ? We have a wide selection at great prices to help you get creative. 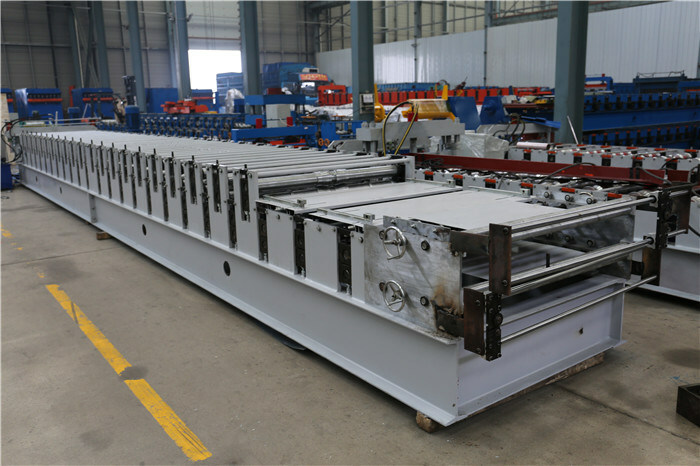 All the Double Layer Glazed Tile Machine are quality guaranteed. 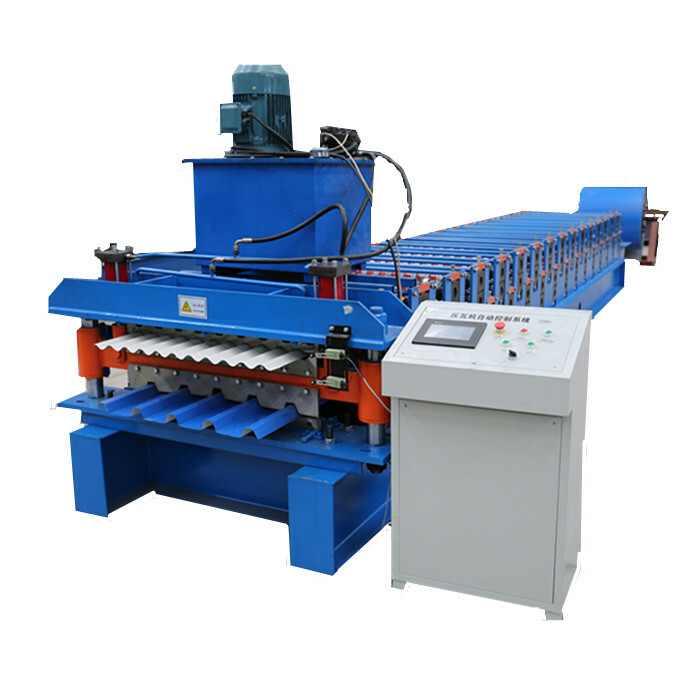 We are China Origin Factory of Cold Roll Forming Machine For Roofing. If you have any question, please feel free to contact us.